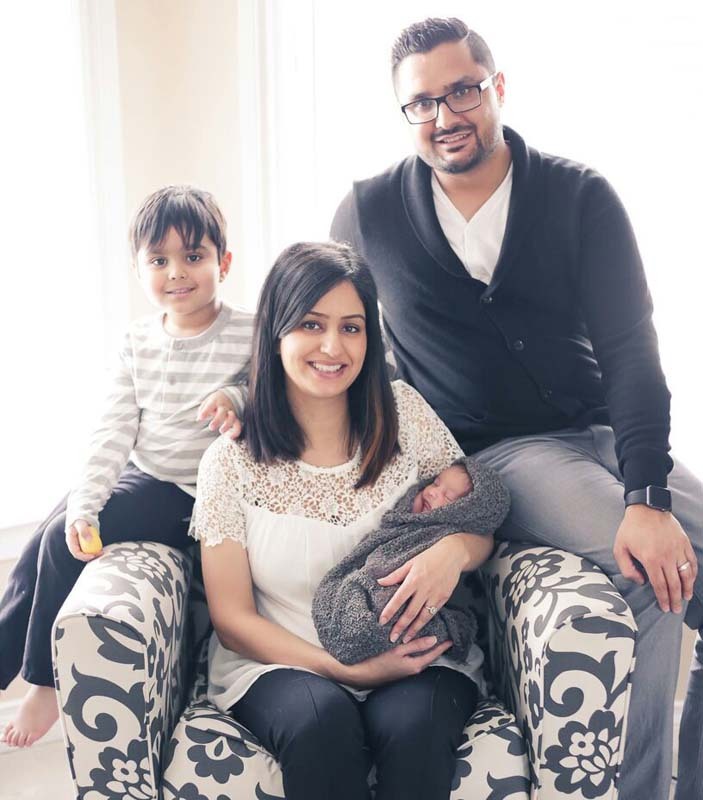 Although his quest to become a doctor took him all the way to the Caribbean it was his love of home and family that brought Dr. Kulwinder Virk back to Alberta. With about six months under his belt, Virk, who is just starting his career, is the newest family doctor at LakeMed Clinic. He was attracted to LakeMed because of the team mentality and the clinic’s values being consistent with his. He also was familiar with and liked Chestermere. Virk grew up on the East side of Calgary and spent time having barbecues by the lake growing up. Lakemed is Virk’s first clinic after completing his residencies in Calgary and Strathmore. And is the culmination of a long and sometimes winding path to becoming a doctor. After high school, he went to university for a bachelor of science. For a period of time while he worked on his degree he thought he wanted to become a dentist. “I did have some ambition to become a dentist,” he said. During this time he did some job shadowing type positions with dentists and went so far as to apply to dental school. When he finished his undergraduate degree, he got a job working in a bank but quickly realized that this too was not the right career. “It wasn’t fulfilling enough for me,” said Virk. He started looking at medicine again for a potential career. “I realized how diverse medicine is, the opportunities that you have there are ample. “You can really cater your line of work to meet your specific interests,” he said. Virk decided on med school, but too late in the year to apply to a Canadian University. Rather than wait another year to apply in Canada. After consulting with his fiancé, now his wife, he decided to apply to and was accepted at St. Georges University in the Caribbean. After finishing school in the Caribbean, he did more training in the Northeastern US before returning to Calgary for his residencies. Although his experiences down south were fantastic, without family he didn’t feel he could settle and start his practice there. “Family’s typically the cornerstone of our lives,” he said. Most of Virk’s extended family live in Calgary and the surrounding area. Now that he is back home and starting his practice at LakeMed Virk is looking forward to a career as a family doctor. “I think family medicine is really the right mixture of medicine for me,” he said. Beyond medicine, Virk’s interests focus on his family. “I like to spend time with the family and kids after work,” he said. They enjoy going on outings, swimming, and hiking in the mountains. Virk also enjoys playing soccer and hockey and now that he is done school he is looking forward to getting back into those sports.